Arvind is a serial entrepreneur with experience in building global businesses for the last 20 years. He believes in boot strapping start-ups and has done that successfully twice with no external funding. Prior to co-founding Utopia in 2003, Arvind was the CEO of Value Communications Corporation (ValuCom), a company he founded in 1996. Under his leadership, ValuCom grew to be one of the most recognized brand names in prepaid telecom in the US. The company was acquired by Rediff.com (NASDAQ: REDF) in 2001. Arvind began his corporate career in sales & marketing with IDM (an IBM spin-off) in India. He moved to Dubai with Hewlett Packard (Emitac) in 1988 where he managed and developed some of HP's largest customers in the Middle East. After his MBA, Arvind worked at Kraft Foods in the US in various marketing and senior management positions. During his tenure at Kraft, Arvind launched multiple new brands, some winning the highest award for superior achievement from Philip Morris (Kraft's parent company at the time). His responsibilities included strategic planning, setting P&L targets, advertising and business development for several Kraft brands, including a flagship brand with revenues exceeding $1 billion, and marketing spending exceeding $200 million. 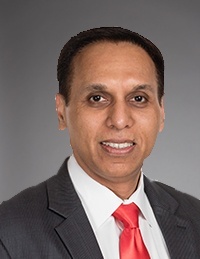 Arvind serves on the Board of Directors of Lake Forest Graduate School of Management, Lake Forest, IL as well as sits on advisory boards of several companies. Arvind had the honor to meet one-on-one with the President of India, Dr. APJ Abdul Kalam in 2003 to brainstorm ideas on ways to promote entrepreneurship in India. He was also the keynote speaker at the U.S. Department of Homeland Security's Annual Naturalization & Citizenship Ceremony held at the Harold Washington Library in Chicago in 2005. Arvind has an MBA from the UCLA Anderson School of Management and an MS from the Birla Institute of Technology and Science (BITS), Pilani, India. He is a frequent speaker on topics relating to global business trends and entrepreneurship, and is a certified instructor in innovation and problem solving techniques from Synectics, Inc.
Arvind loves to travel, play the drums, and speaks fluent Hindi, Punjabi and some Arabic.